A: I read a lot of different genres and I rarely venture out. But If I had to choose one book, it would be “The Da Vinci Code”. 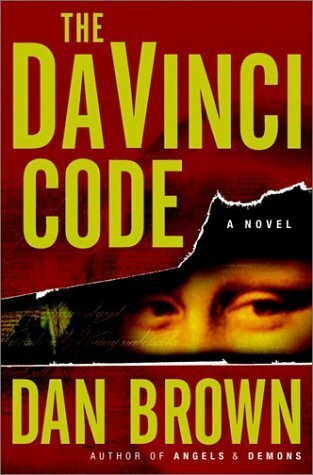 This was my first Dan Brown book and I really liked it. If you’re a new follower, let me know so I could return the favor! Book Review: Will You Still Love Me Tomorrow? Hey, thanks for stopping by my blog! I haven't actually tread this one, despite loads of recommendations! It just doesn't seem like my sort of thing! Maybe I should eventually give it a go, though! Now following you back via linky! I haven't read the book but the movie was good. Dan Brown again. I feel like Brown and Stephen King are really popular answers for this week's FF and I get it. Their books are so successfzul and I feel like you can't call yourself a reader if you haven't tried reading them! I've been thinking about reading him but never got around to it! Hope you can stop by my blog, Ensconced in YA! Have an awesome weekend and thanks for stopping by my blog!! I am a new follower 🙂 Can't wait to more of your reviews!! hopping through. I've never been much into thrillers. I did enjoy The Da Vinci Code although I haven't read of Dan Brown's other novels. I've heard these books are pretty good, but unfortunately, I'm one of those lameos that don't read a book if the movie is already out. Terrible, I know! Anyway, have a great weekend. Thank you for stopping by my blog. I've now followed you back. Have a good one. Love the Da Vinci Code. In fact, the whole Langdon series is pretty good even if a bot formulaic. Thanks for dropping by and I'm following back via Linky. I've wanted to read this book but it always looked intimidating LOL the movie was great though! I just found this blog, it is very cute 🙂 Loving it so far! !